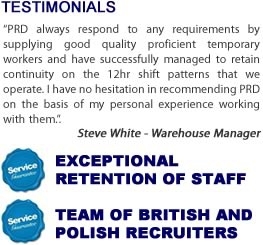 PRD are one of the leading industrial recruitment agencies in Derby offering the complete recruitment solution to Small and Medium Businesses as well as large PLC's. 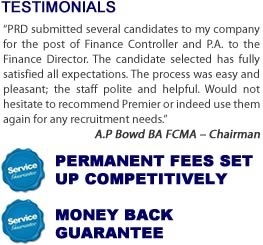 We source and place temporary and permanent staff in businesses locally and across the UK. 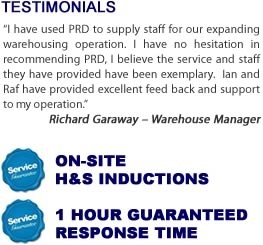 Our mission is to always practice efficient and professional procedures and to stand out among our competitors as an agency with the highest of standards to provide our customers with a consultative, honest and high quality service which develops long term relationships. Since 1 October 2011 agency workers are entitled to the same relevant terms and conditions as your other employees of any business. Although the agency is responsible for providing the terms and conditions and the hirer for providing the facilities, both are liable for any failure. Are you sure your current provider complies to Agency Worker Regulation?